Using a barrel to collect rainwater has recently become legal in Colorado. This practice is a great way to utilize rainwater for watering your lawn, garden, or other landscaping features. Doing this also help to prevent water from entering your foundation or basement. 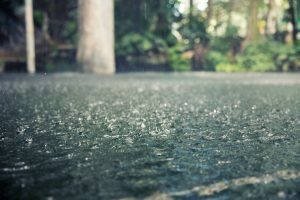 Finally, it is also a great way to lower your water bill during the rainy season, since you won’t have to use as much water from your home’s system when the rain barrel is full. Here, we will look at some tips for setting up and using your rain barrel system. Setting up a rain barrel system is not very complicated, but it is important to plan it out ahead of time. You want to choose a location for your rain barrel that is relatively close to the features you wish to irrigate. Rain barrels are best used for drip irrigation, since they provide low pressure water. Elevating your rain barrel is a great way to improve water flow even when the barrel is getting close to empty. Once you have a good spot picked out, it’s time to get to work. With these supplies in hand you will have all you need to construct a basic rain barrel setup. Clean and rinse your barrel. This step is only really necessary if you are recycling your barrel and it has any residue built up inside. Cut a hole in the lid of your rain barrel. The size of the hole will depend on the diameter of your downspout. Fit and secure your screen or debris catching basket. Install the faucet near the bottom of your barrel. Make sure that you purchase an outdoor faucet that will work with a hose. Attach your downspout to your gutter. Depending on the location of your barrel, you may need to modify the downspout to ensure it fits securely into your barrel opening. Attach your hose, and wait for rain! As you can see, creating a rain barrel system is an easy endeavor. This is a project you should be able to easily knock out in a Saturday afternoon. A rain barrel system is a great complement to a more advanced irrigation system. If you are ready to take your irrigation to the next level, our landscaping experts can work with you to design and install a system that works best for your property. Contact us today to learn more about all of our landscaping services in Fort Collins.